We all know a lot about Cristiano Ronaldo and there's hardly anyone around the world who doesnt know one or two interesting facts about CR7. As his career progressed and his popularity increased over the years, it's also undeniable his life became more scrutinized. 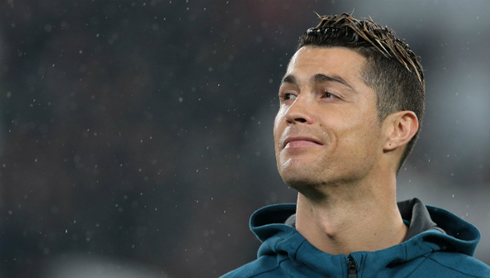 Most of his fans only know him as Cristiano Ronaldo, but his actual name is a bit longer. The football superstar's complete name is Cristiano Ronaldo dos Santos Aveiro, named after the former U.S President Ronald Reagan, who was greatly idolized by Ronaldo's father. Born on February 5, 1985, Cristiano was the youngest among four siblings. He grew up in a poor family but both of his parents had jobs to provide the needs of their children. His mother was a cleaner and cook while his father was a gardener. 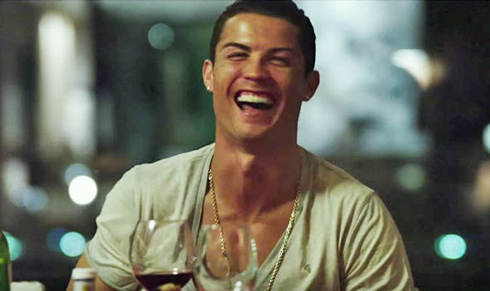 One bad memory Ronaldo has about his father was the fact he had issues with alcohol. In his younger years, Cristiano didn't have awesome nicknames that people would think about for too long. There were two prominent nicknames he was called to for specific reasons. The first was "crybaby", because if things didn't go his way, he would cry in tears. The other one was "little bee", due to his speed being similar to a a bee while playing football. Not so many people know that Ronaldo credited his accomplishment to Albert Fantrau. In their childhood, Albert was invited to take part in a football academy, but he rejected it and gave the slot to Ronaldo. Albert thought that Ronaldo was better than him and that's reportedly why he declined the invitation. Cristiano Ronaldo is a frequent blood donor to the Red Cross. This is the reason why he has no tattoos and doesn't have any plans to have one in the near future, as the organization requires donors not to donate blood only after 4 months the tattoo was inked. In addition, Ronaldo also helped in a bone marrow campaign to the son of his former teammate Carlos Martins. Being a pro athlete not only demands skill but also a dedication to having a fit and well conditioned body. This is why Ronaldo is one of the greatest athletes we've ever seen, as he has the skill and the discipline to maintain his great athletic body by doing relentless workouts 6 days a week. In fact, British tabloids have reported in 2009 that he's doing 3000 sit-ups per day to keep his six-pack. In 2008, Ronaldo was awarded by FIFA the FIFA World Player of the Year award and won the Ballon d'Or following his astounding season with Manchester United. In this year he also led Manchester to win the UEFA Champions League and the Premier League with his extraordinary 42 goals. What a year it was for Cristiano. As cited earlier, CR7 obtains a terrific physique that will either lead to admiration or envy. Hence, various companies choose him as their endorser. Here are some of his endorsements over time; Nike, Fly Emirates, Myriad, Castrol, Herbalife, Motorolla, KFC, Jacob & Co., Coca-Cola, and many more. In 2014, Cristiano Ronaldo was the highest earning soccer player and the 2nd in among all athletes, right after Floyd Mayweather Jr. His total earnings were believed to be around 80 million dollars, coming from salaries, bonuses, off-field income and other profits. And just last year, these figures increased 30 million euros. Ronaldo is one of the richest athletes of all time. Like the famous line says, "you can't please everybody". Ronaldo also has many haters who claim he's presumptuous, unfriendly, and unapproachable. Surprisingly, his response to them leaves both his fans and haters bewildered. Ronaldo once said in 2011 that he is too good-looking, rich, and more gifted than any other individual. Not everyone may know it, but Ronaldo has a generous soul and cares for others' welfare. He founded schools for poor kids in Gaza and in 2012 and also joined a health foundation promoting prevention and treatment for obesity, drug addiction, and diseases as HIV and malaria. At the age of 14, Ronaldo was said to be an arrogant teenager as he started becoming famous in school. Allegedly, there was a time when he disrespected his own teacher by springing a chair towards him, resulting in Ronaldo's temporary expulsion from school. This became his life's turning point, as he then decided to trust his mom's direction to concentrate on football instead of creating disorder. At the age of 15, Ronaldo developed heart palpitations. This could have caused him to give up his career for good, but luck was on his side and he successfully underwent laser surgery to permanently treat the condition. He became fit to play football again just days after the operation. Few people out there have the genetics to transform their body like Cristiano Ronaldo did. He has the speed, strength and jumping power of a cheetah. In a contextual perspective, he recorded the same jumping measure as a cheetah. Not only that, but his kicking power is equally impressive. There have been incidents where spectators suffered broken noses and wrists because they were hit by his shots. So if you're around while Ronaldo is playing, we would recommend you to be extra careful. Going back to records being broken, there's one more that is worth to mention. He was welcomed by 80,000 fans at the Santiago Bernabéu when he signed for Real Madrid. Diego Maradona was the previous record holder when he was greeted by 75,000 Napoli fans in 1984. This also goes to show that CR7 is loved by almost everyone wherever he plays. Even though Cristiano Ronaldo has a very happy life and a lovely family, every now and then magazines and public in general still raise questions about the identity of Cristiano Jr, his first child. Many believe his real mother to be a surrogate one, while others believe she is one of those women Ronaldo dated for a short time in 2009. Let's admit it, Ronaldo has everything men want. He is famous, wealthy, athletic and handsome. Without a doubt, chicks dig him. Even though he doesn't publicize his love-life, he can't hide it totally from everyone since many of his ex-girlfriends are popular celebrities. Kim Kardashian and Paris Hilton are just a few names in his resume. Ultimately, Ronaldo felt like he wasn't wanted that much. This all began when rumors about Neymar suggested the Brazilian was on the verge of signing for Real Madrid in order to also be able to win the Ballon d'Or in the future. Ronaldo didn’t like that idea, so he threatened that he would leave. During this period, he realized that Real Madrid didn't do enough efforts to retain him. Currently, he is now playing for the Italian giants, Juventus. Cristiano Ronaldo still has a lot left in his tank. Expect him to dominate, win championships, and shatter more records in the game as years go by. Nevertheless, there are other great football players around the world which you can compare by visiting Head-to-Head at Wetten.com, even though they may not be at the same level as him. Cristiano Ronaldo is already a household name and will last forever. Cristiano Ronaldo next game for Juventus is on February 2 of 2019 against Parma. You can watch Juventus vs Parma, Everton vs Wolverhampton, Barça vs Valencia, Chelsea vs Huddersfield Town, Tottenham vs Newcastle, and Bayer Leverkusen vs Bayern Munich, all matches provided from our live football and soccer game pages.